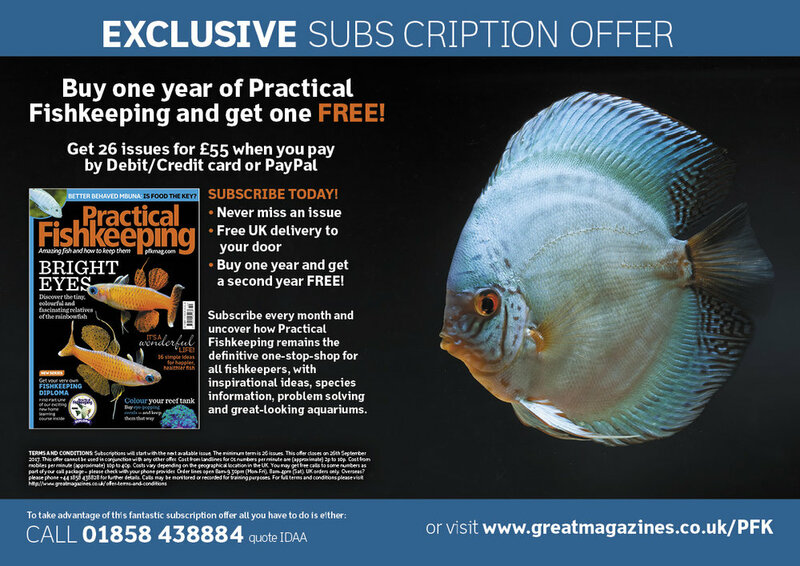 July 2017 issue of Practical Fishkeeping on sale now! 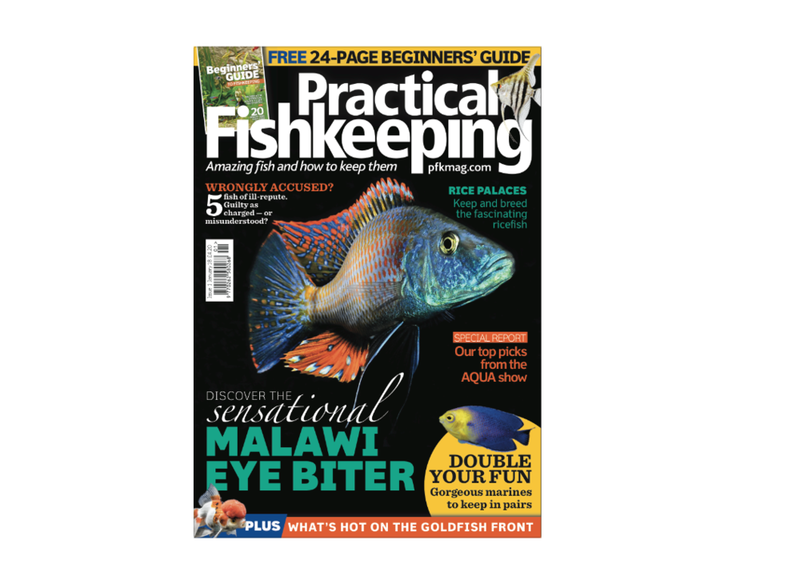 Don't miss the July issue of Practical Fishkeeping — on sale now! 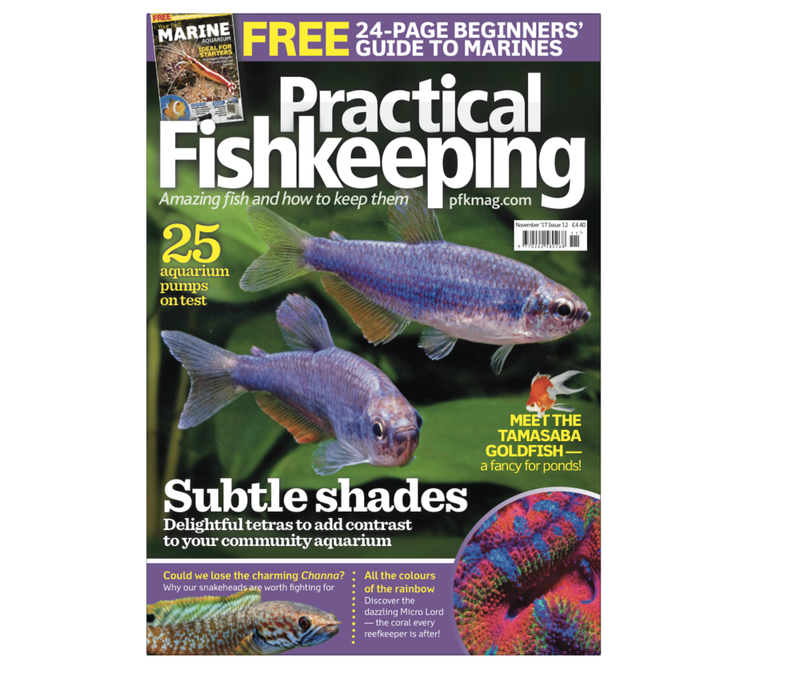 The July 2017 issue of Practical Fishkeeping magazine is heaving with gorgeous fish and inspirational ideas, plus you can find out how to vote for your favourite aquatic shop in our readers’ poll. If you really want that pond, but don’t fancy doing all the digging, fear not! There are some much less labour-intensive options — we offer seven great ideas, including a number of step by step guides to help you. There’s also advice on choosing the right pond pump to suit your needs — it’s really not a case of ‘any old pump will do’! If you need inspiration on the aquarium side we have some simple biotope ideas to try — or check out the jaw-dropping set-up belonging to reader Steve Baker! We aquascape a reader’s aquarium, offer tips on holiday feeding and explain how to breed your Bettas. For the saltwater enthusiast there’s advice on improving your reefscape and also switching your lights to LED. And you can find out how to keep the beautiful, intelligent and streetwise hogfish. All this plus the latest fish in the shops, new products reviewed and your problems solved by our team of experts. Click here to buy the latest issue online today (free first class postage if you live in the UK). Alternatively, why not take advantage of our current subscription offer? Ed's note: We're currently working on providing a list of PFK stockists, which we plan to update on the website every month. In the meantime, if you can't locate a copy in your area, or your local retailer has sold out, please give us a call on 01733 468000 and we should be able to direct you to a stockist near you. The January 2017 issue of PFK is on sale now — and it comes with a FREE guide to setting up your first aquarium. Also in the fish-packed January issue is advice on converting your freshwater tank to marine, plus a budget clownfish set-up for those who just want to dip their toes in saltwater for the first time. 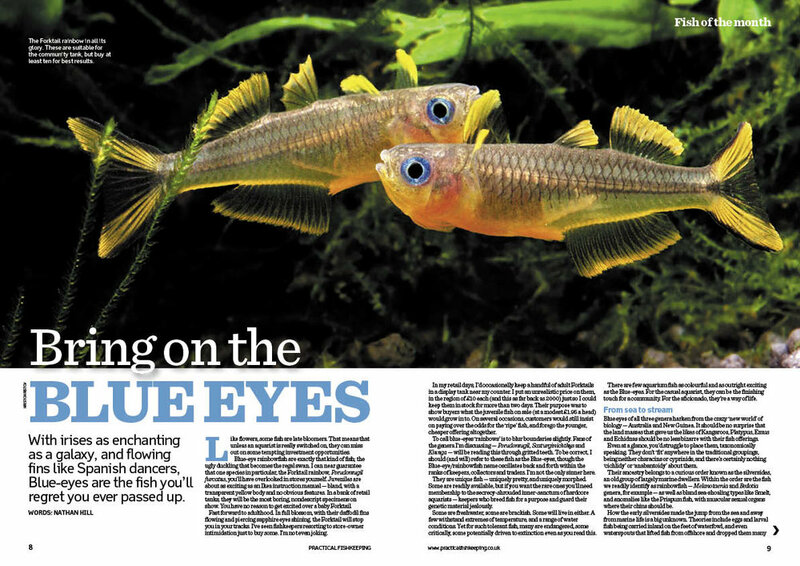 Rainbowfish, knifefish, Black neons, a jungle inspired catfish set-up, a reader's magnificent mbuna system, and a look at some of the 'man down the pub' fishkeeping theories...just what should you believe? All this and loads more in the January issue — on sale now! Buy the latest issue online and get free UK delivery. Read all about Scott's mbuna aquarium in the January issue of Practical Fishkeeping magazine. Check out this video of the magnificent mbuna display aquarium belonging to Scott Lynch, which aquascaper George Farmer helped to set-up. You can read more about Scott's tank — plus loads more besides — in the fish-packed January issue of Practical Fishkeeping, on sale Wednesday, November 23. The January issue also comes with a FREE beginner's guide to setting up your first aquarium. Buy the latest issue of PFK and get FREE UK next day delivery! Did you know that you can now buy the latest issue of Practical Fishkeeping magazine online for delivery to your door the very next day? And you won't even have to pay the postage if you live in the UK! No more missed magazines! Buy the latest issue today!